Here is yet another vehicle (from yet another marque) that can be traced back to Adolphe Clement-Bayard. If you’re keeping score at home, please let me know how many this makes, because I’ve lost count. That mustachioed Frenchman sure had a knack for starting car companies. Clement began producing cars in 1899. Between then and 1903, they were sold under the Clement and Clement-Gladiator names. In 1903, they became known as Clement-Bayard. Clement-Talbot and that whole story is separate from these companies (although very closely related). Anyway, this car was sold new to a Spaniard named Don Francisco Serramalera Abadal. He was a major automotive importer and salesman who sold mainly French cars to wealthy clients. He would produce cars under his own name in the 1910s. He managed to win a hillclimb in this car in 1904 (so it does have “competition history”). The restoration is about 40 years old and the flimsy-looking wooden top is removable to turn this into a nice roadster. The engine is a 2.1-liter straight-four making 12/16 horsepower. This Clement is from the final year of Clement production (of the four short years they were available). It is very nice, even though the restoration is older, and should bring a still-big price. The estimate is between $480,000-$640,000. Click here for more info and here for the rest of Bonhams’ London auction catalog. 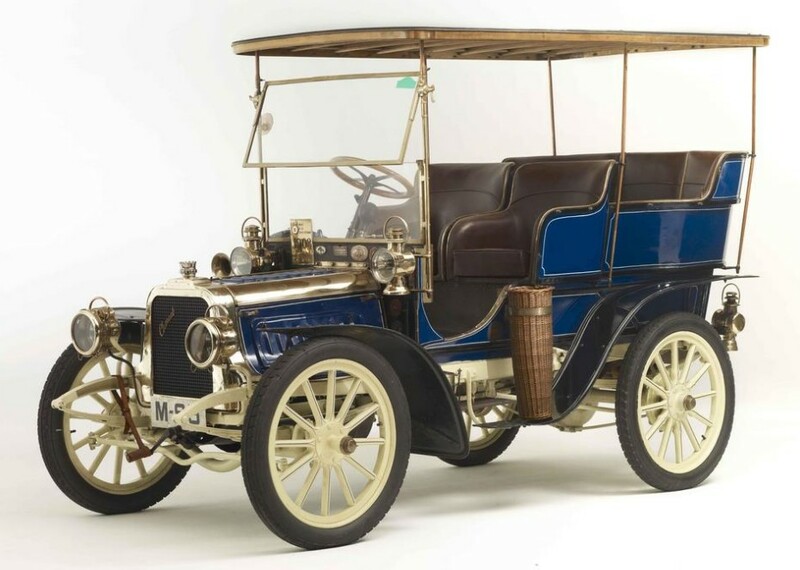 This entry was posted in Uncategorized and tagged 12/16hp, 1903, auctions, Bonhams, cars, classic cars, clement, rear-entrance, tonneau by classiccarweekly. Bookmark the permalink.